This morning I found myself sipping my coffee and skimming the headlines, and holding my breath subconsciously — the way I do when I’m anxious or stressed. As usual, I have a to-do list as long as my arm, filled with a lot of difficult, tedious, or unpleasant stuff. Frankly, it feels a little hopeless – so I was trying to put it off for awhile. Looking for something more uplifting or encouraging online. Raise your hand if you’ve discovered that reading the news (or social media) isn’t exactly the place to look for hope these days? Hope can’t be found in the headlines. Or my Facebook feed. Well, not usually – or not alone. It can’t be bought on Amazon or Etsy. Last summer in our Virtual VBS, I shared why I’m not waiting for the world to change. But somehow I keep expecting it to pony up and give me a little hope. Give me some strength to face what I must face. Give me some nourishment, encouragement, or comfort somehow. Yeah, still waiting on that. And holding my breath. Worrying. Wringing my hands. Trying to figure out what I’m going to do about it all – all the problems I have now and all the potential problems I see, all the stuff that looms so large in the future, the things that lie ahead. I do talk to God about it all, as if He’s one of my best friends. My sweet, kind, loving, friends – always ready to listen, full of love and concern, and occasionally some great advice — but ultimately powerless to do anything to solve my problems. Reading the Psalms this morning, I’m reminded of two words: “train ticket” – from one of my favorite stories. And the reality that in at least one very important way, God is utterly unlike my best friends. Corrie was only six when she first began to understand the reality of suffering and heartache. When she first encountered death. She had been to the home of a neighbor who had lost a child to illness. For the first time it occurred to Corrie that the members of her family – her brothers and sisters, her parents could die. She was so distressed, she couldn’t eat or sleep. At the sight of her Father coming home from work, she burst into tears. If you’ve heard this story before, you know that strength did come to Corrie when she needed it — for all kinds of things. She had the strength to face ordinary, everyday struggles, the heartache of lost love and a lifetime of singleness despite her dreams of marriage and family, the challenges of growing old. Corrie Ten Boom also had the strength — in her fifties — to stand up to Hitler and hide her Jewish neighbors in her home during the Nazi occupation of Holland. She had the strength she needed, when she and her family were betrayed by friends and arrested. Just in time, God gave Corrie the strength that would sustain her through the horrors of the concentration camps and the deaths of her father and sister. He then empowered her, as an elderly woman, to travel all over the world preaching the gospel to millions of people. Today, God is reminding me (so I’m reminding you): We are not without hope. And we don’t have to live in fear of what the future holds or how we will face the challenges that lie ahead. He is not powerless, nor is His arm too short to save. 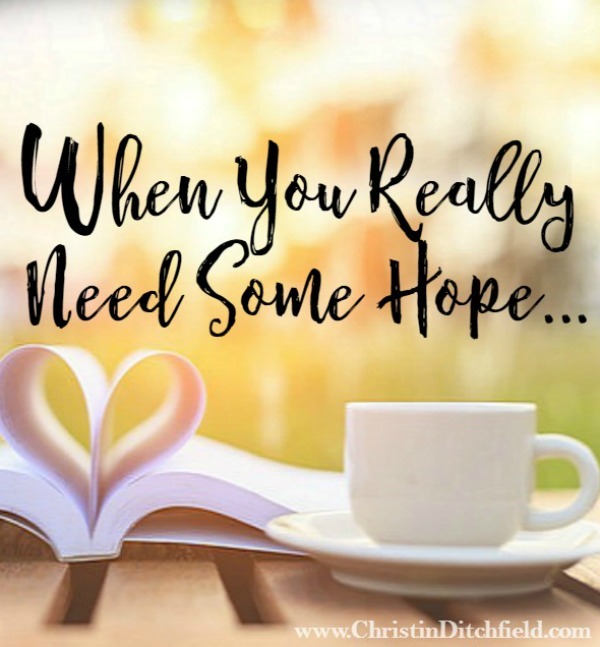 Our Father God will give us all the hope, all the grace, all the food (the nourishment), all the strength and courage we need – right when we need it. 1) Soaking in the Psalms ~ Savor 3 Psalms this week. This week’s Psalms are Psalm 130, 139, and 145. Ask questions as you read, underline key words and phrases, making note of things that come to mind. Read them in different translations. Journal about verses that speak to you. 2) Surfing through the Psalms ~ Read through the entire book of Psalms during our six-week study. This week, read Psalms 126-150. (which includes the “Soaking” Psalms — see above). 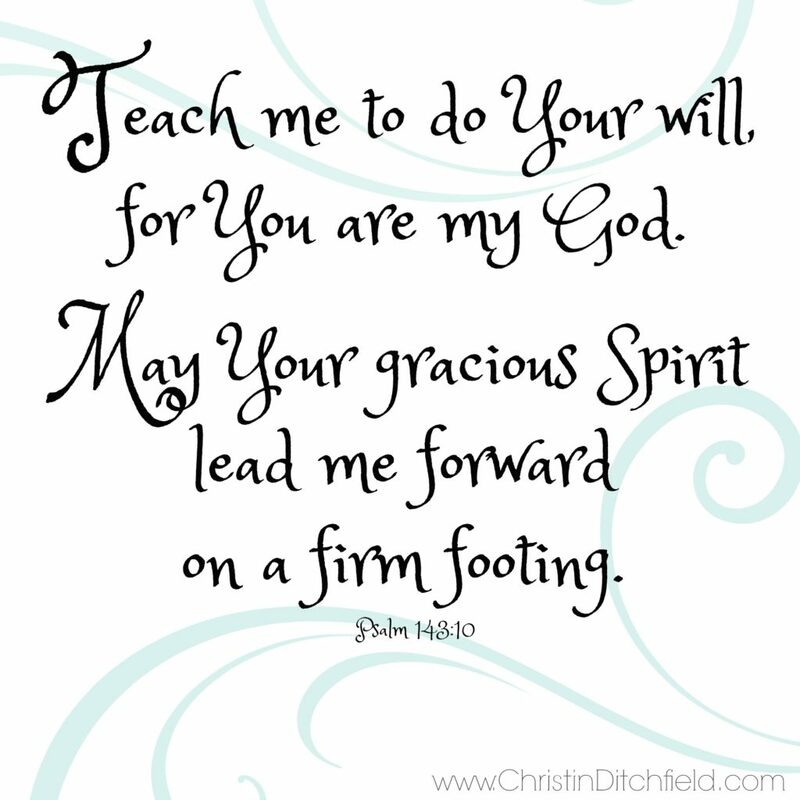 This week’s verse is Psalm 143:10 NLT ~ It’s in the graphic above and on our VBS Pinterest board. b) Remember the old posts live forever on our Archive page — so you can keep going at your own pace, go back and catch up on old posts you missed, or just call it on Friday and be glad you participated as much as you could! c) Focus on what you gained — what you learned — how God spoke to your heart through the Psalms this summer. Trust that you got what you needed. d) Make plans to join us again next summer!